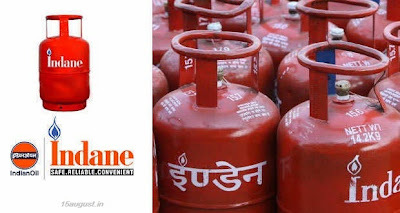 Indane.co.in - Guide to Book Gas Cylinder via Indane Gas Online Booking System. Yes, Since launching of LPG Gas Subsidy Scheme, PAHAL (online gas subsidy scheme) now you need to book your cylinder online only via IVR system or SMS. Below is detail guide of how to book Gas Cylinder Indane Gas Online Booking. For Online booking of Indane Gas Cylinder one need to have below things before booking the Gas Cylinder. 3. Indane Gas Online Booking Number (State wise different number). 4. Your 17 Digit Customer Number of 5 Digit Consumer Number. That's it, you need this four things to book your gas cylinder online. Now check the below guide to book gas cylinder online. 1. Visit http://indane.co.in/book_cylinder_ivrs.php and check state wise number to book Gas Cylinder here. 2. Now when IVR ask you to enter your Gas Agency's Number (Land-line number) do enter it. 3. Enter your Consumer/customer ID. 4. You will get Confirmation about successful booking. 5. You will receive SMS on your mobile phone for Successful booking of Gas Cylinder. 1. Send SMS at SMS IOC < STD Code + Distributor's Tel. Number > < Consumer Number > to xxxxxxxxxx. You can also book your Indane Gas Cylinder via mobile application, download indane gas booking application at this link >> http://indane.co.in/book_cylinder_mobileapp.php. After booking the gas cylinder, you will receive subsidy amount in your bank account (if you don't have bank account you can get it free bank account in Jan Dhan Yojana). You will also receive sms after getting delivery of Gas Cylinder with Invoice number. For more updates, keep visiting us.